Bon bini on Bonaire! Spend your summer holiday on Bonaire if you love sunshine, clear blue oceans and pearly white beaches. 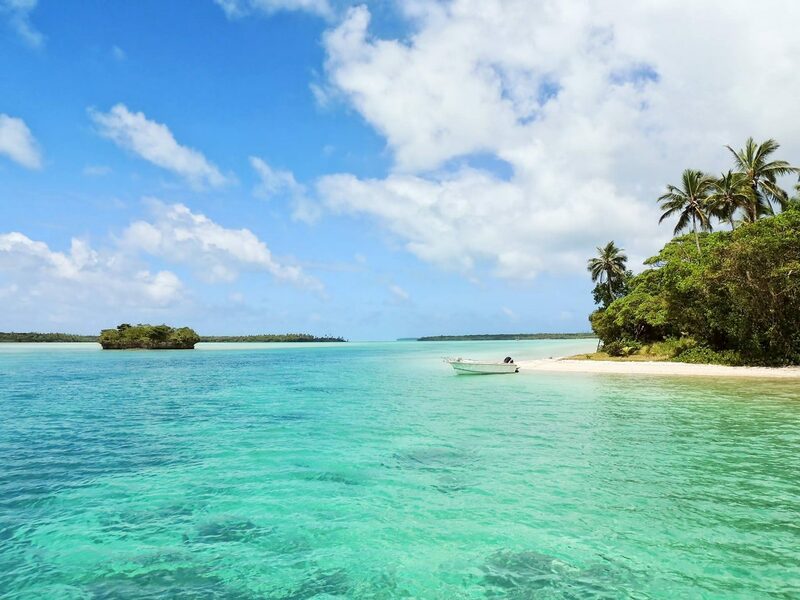 This tropical island, part of the ABC-islands in the Caribbean area, guarantees a lovely and relaxing holiday without any obligations and with loads to do. 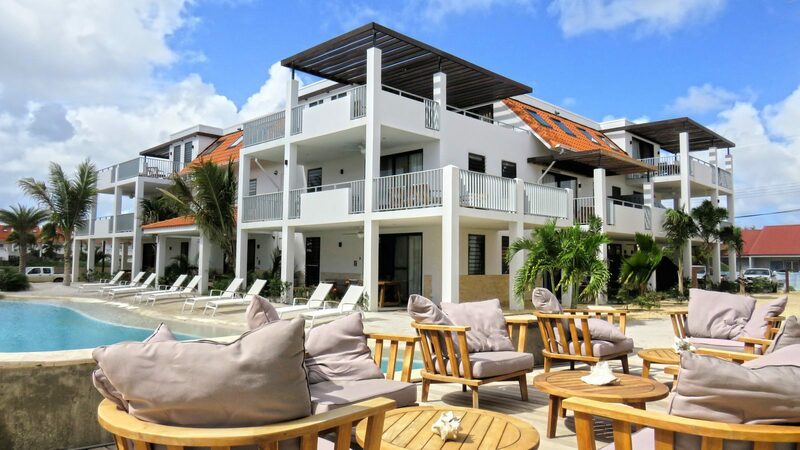 Book a stay for a few days or a week at the holiday apartments on Resort Bonaire for a completely carefree stay. Our luxurious resort close to the capital, Kralendijk, on the west coast of Bonaire will allow you to completely relax and enjoy your holiday. If you're looking to spend your summer holiday on Bonaire in complete luxury, we have the right place for you. 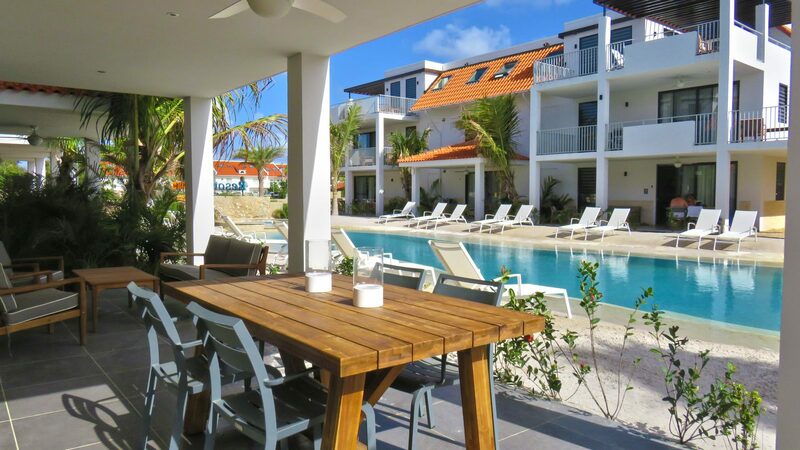 Book your modern holiday apartment on Resort Bonaire for 2, 4 or 6 people, including use of the resort facilities. 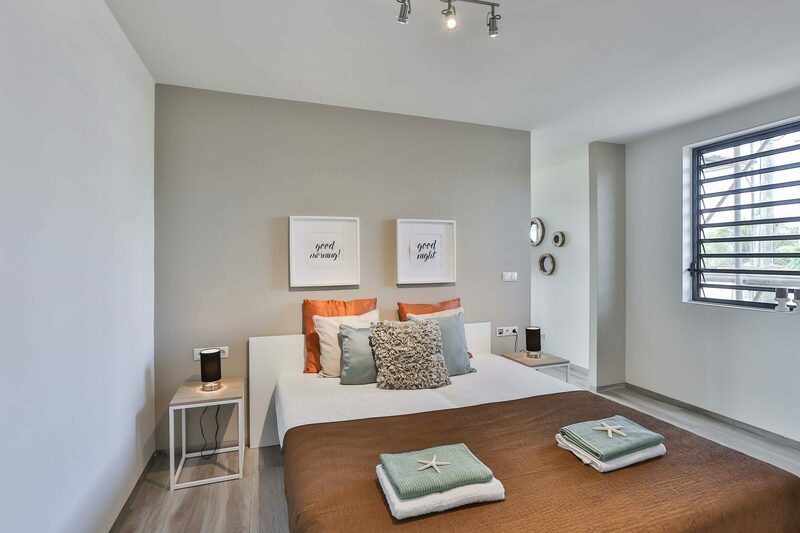 The various apartments are stylishly furnished and finished with natural materials and colors for the ultimate holiday feeling. The complete kitchen, a cozy living area with adjacent balcony, bedrooms, spacious bathrooms, air conditioning and Wi-Fi leave nothing to be desired. As a guest at our resort, you can make use of our facilities. Relax on a lounge chair at the swimming pool with sandy beach or enjoy a cocktail at the pool bar while the children are having fun in the playground. The lush greenery with palm trees completes the picture. 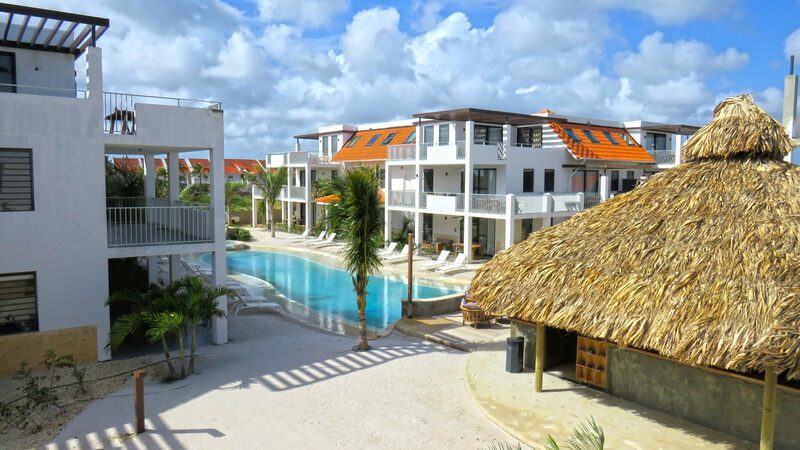 Resort Bonaire is the perfect base if you're thinking of having a daytrip in the area. Playa Iechi near Kralendijk is possibly the most beautiful beach and the best place to discover the colorful underwater world while snorkeling. Are you looking for holiday apartments to spend your summer holiday on Bonaire? 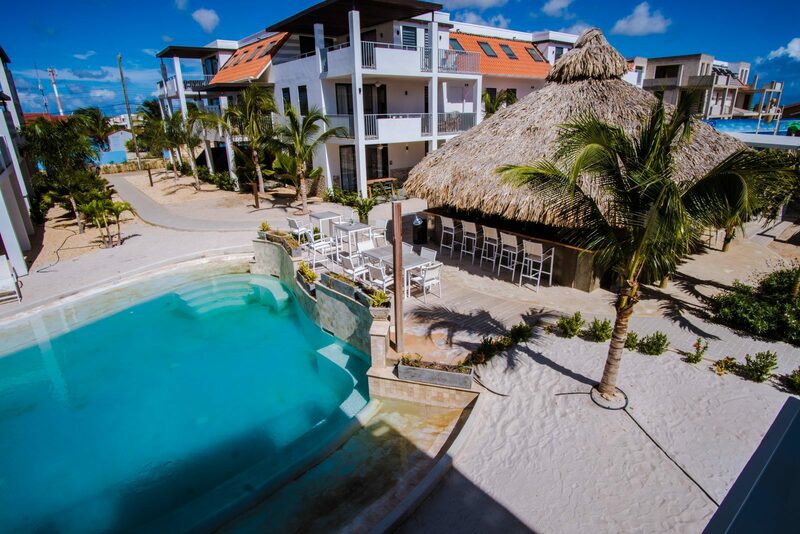 Resort Bonaire is the perfect place for you. The advantage of a holiday apartment is not only the privacy you enjoy with a spacious living room and various bedrooms and bathrooms, but also the fact that you have a complete kitchen to make your own dinners. 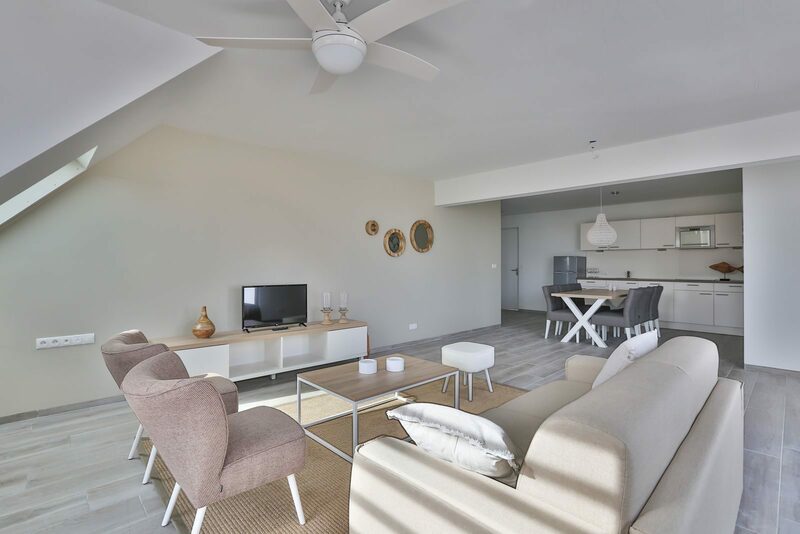 The stylish furnishing and perfect finish of our new holiday apartments give you that real holiday feeling. 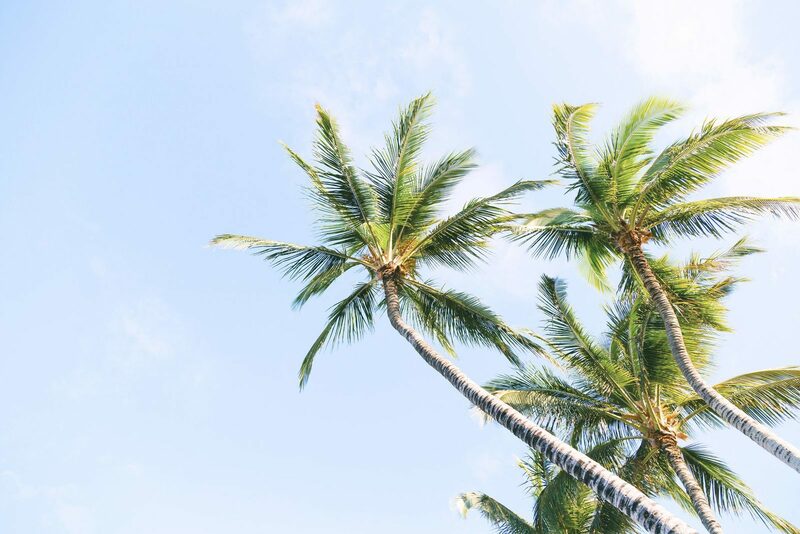 As a guest of the resort, you can also make use of the facilities, including the lovely swimming pool, the luxurious lounge chairs at the water, the pool bar and the playgrounds for the children, as well as the free and unlimited Wi-Fi. Want to relax on the beach, dive around the colorful coral reefs or play water sports on the clear blue ocean? 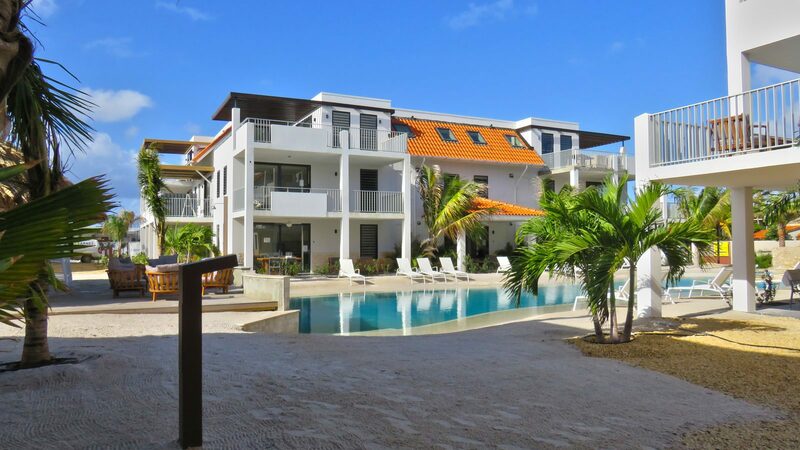 If so, the holiday apartments on Resort Bonaire are the perfect base for you. 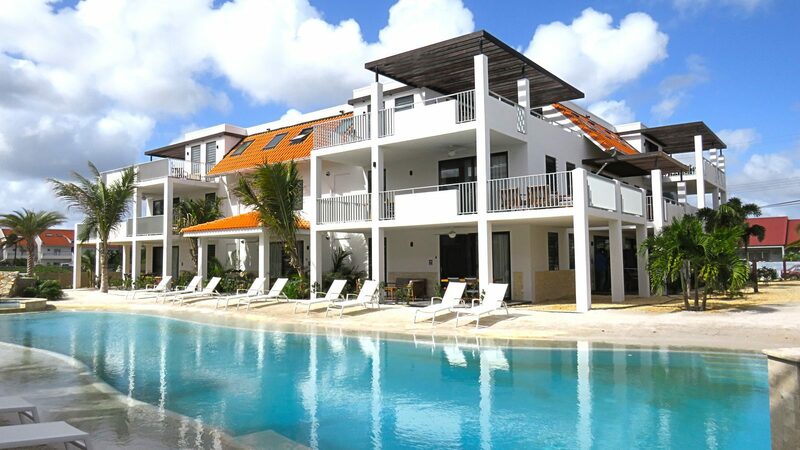 Bonaire is the least touristy of all the Caribbean islands, whicjh makes it the ideal destination for a relaxing holiday in a luxurious holiday apartment. 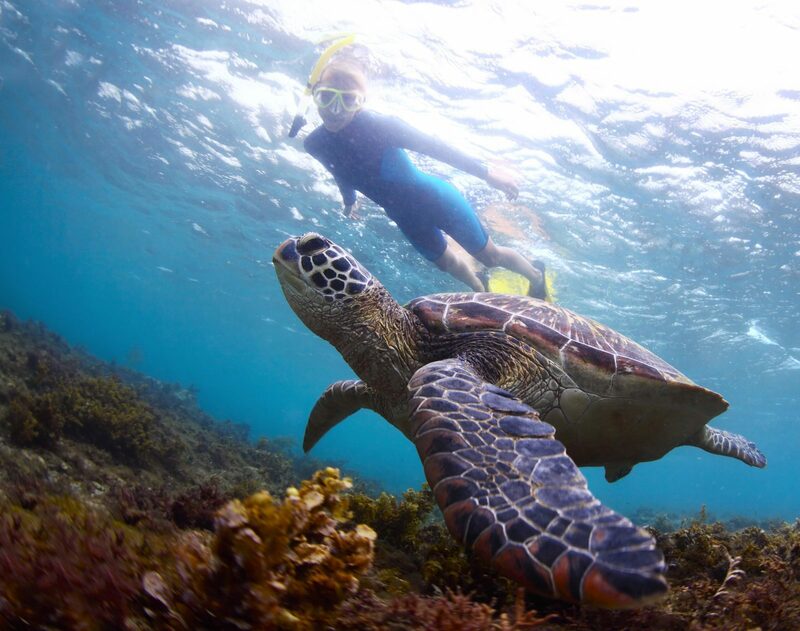 Discover the tropical underwater world. visit the red-pink flamingos, learn how to surf at Lac Bay, swing your hips to salsa or go out for an evening of drinks in vibrant Kralendijk. Some locations that are worth visiting during your holiday on Bonaire.